Tablets seem to be the next big thing as far as computing involved; their extreme portability and impressive functionality bridge the gap between a cellular phone and a full-size computer. But as great as tablets are, they still lack an external keyboard – and as much as we love our mobile phones, they lack the screen real estate we need for certain tasks. So designers In-oh Yoo and Sun-woong Oh have taken a tablet device and a mobile phone, put them together in a dark room, and let them do their thing – the result was the Smartbook concept. 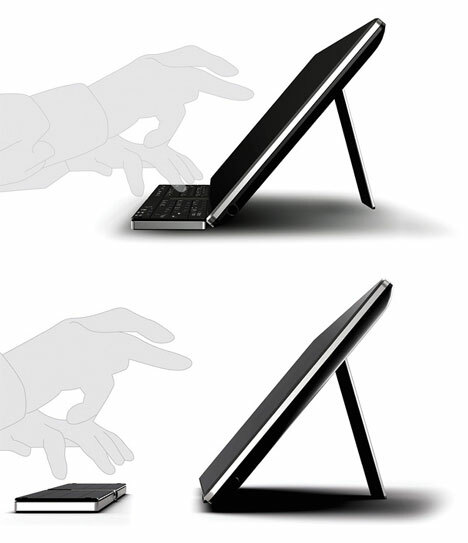 Their Smartbook would consist of two pieces: the main piece is a 7″ tablet, and the foldable second piece acts as a full-size keyboard. 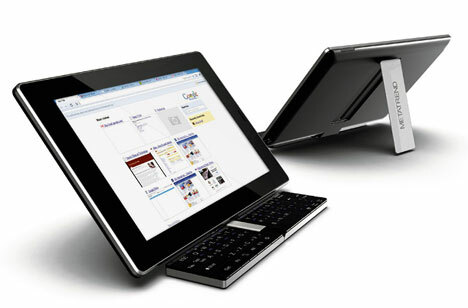 When you want to use the tablet for typing, you connect the two pieces, prop the tablet up like a monitor on the included pop-out stability piece and type away just like on a laptop or desktop computer. While the two pieces are connected, they can share power – so if one needs to be charged and the other has a full charge, the latter shares a charge with the former. The two pieces also function together as a phone. 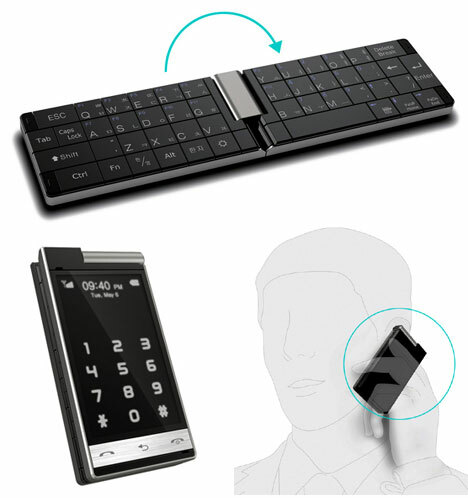 The folding piece works as the handset and phone keypad when folded. But the actual hardware required for making and receiving phone calls is contained within the tablet piece, allowing the handset to be smaller and lighter. Of course, you would have to keep both pieces together to be able to use your phone, but since the tablet itself is so tiny, it seems a small price to pay for carrying all of that functionality around with you. See more in Computers or under Gadgets. March, 2010.